New theoretical work finally paves the way to viable fusion reactors and abundant energy for all. 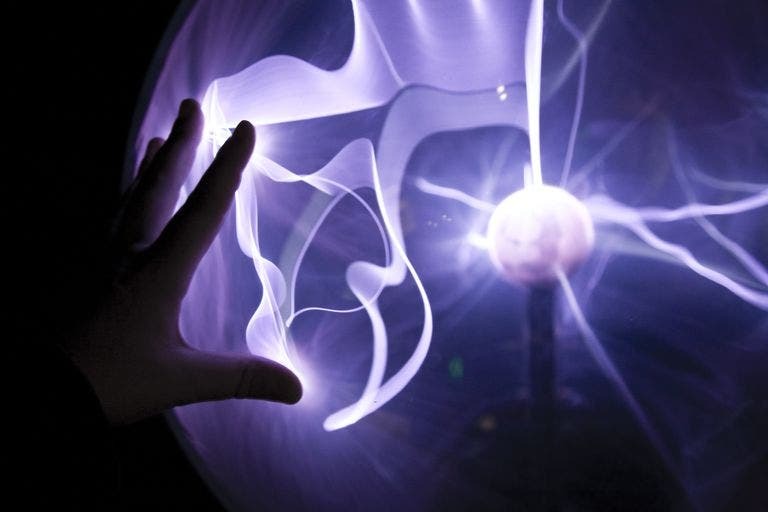 Hand touching a plasma lamp. A team of physicists from the U.S. Department of Energy’s Princeton Plasma Physics Laboratory (PPPL) at Princeton University’s Forrestal Campus, New Jersey, may have finally solved a long-standing problem in physics — how to tame fusion for energy production. Their work lays down the groundwork needed to stabilize the temperature and density levels of plasma in fusion reactors, an issue that plagued past efforts in this field. Plasma is one of the four natural states of matter. That may sound confusing since we’re all thought that stuff is either a gas, a liquid, or a solid, but there’s a good explanation for this: plasma is such a violent and energetic state of matter that it simply doesn’t exist freely on Earth. It is, however, the stuff that most stars are made of. Think of plasma as a soup, only instead of veggies, it’s full of protons and electrons (essentially, highly-energized hydrogen atoms) that smack together to create helium. For a less-culinary explanation, see here. This process requires a lot of energy to get going — you need to heat the hydrogen to about 100 million degrees Celsius — but will generate monumental amounts of energy if you manage to keep it running. It’s easy to understand, then, why fusion is often hailed as the harbinger of infinite, free energy for everybody — ever. So far, we’ve successfully recreated plasma in fusion reactors — the donut-shaped tokamaks or funky stellarators, for example — but we’ve yet to find a way of keeping this super-heated soup of charged particles stable for more than a few seconds. 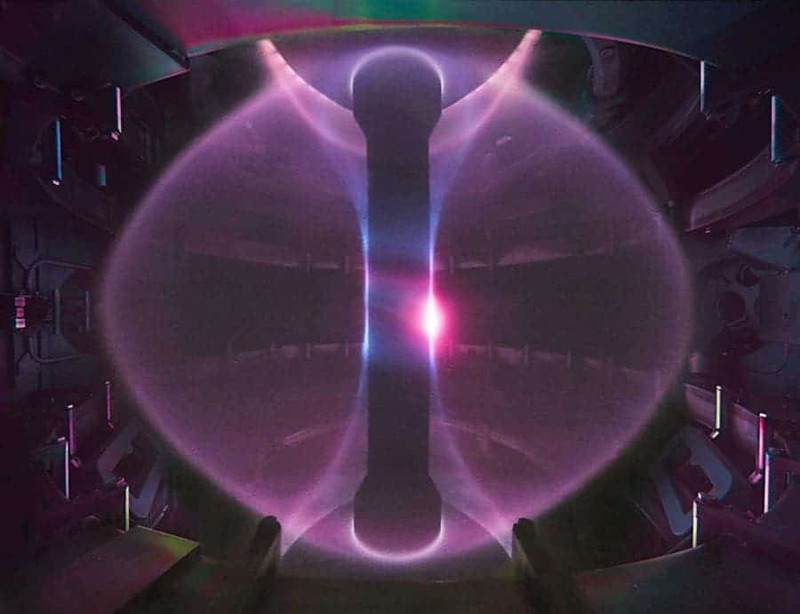 One of the biggest hurdles we’ve encountered is that plasma in fusion reactors tends to fluctuate wildly in terms of temperature and density. Such turbulence is very dangerous, as any inkling of runaway plasma will eat through a reactor’s wall like a lightsaber through butter. Faced with such odds, researchers have little choice but to shut down experimental reactions before they run amok. Plasma confined in the MAST tokamak at the Culham Centre for Fusion Energy in the UK. Magnetic field lines that combine to act like an invisible bottle for the plasma. Image credits ITER / CCFE. The most frustrating thing is that we know what we have to do, but not how to do it. We need to contain the plasma in an orderly fashion and keep the reaction going long enough for it to start being net-energy-positive — i.e. generate more energy than we put in. Stars can cash in on their sheer mass to press plasma into playing nice, but we don’t have that luxury. Instead, we use massively-powerful magnetic fields (some 20,000 times stronger than that of the Earth) to keep it away from the reactor’s walls. This is where the present paper comes in. Certain types of plasma flows (like those inside stars) have been found to be very stable over time, without dangerous turbulence. We didn’t know how to make plasma flow like this, but the PPPL researchers report it comes down to a mechanism called magnetic flux pumping forcing the flow at the core of the plasma body to stay stable. According to the flow simulations the team ran, magnetic flux pumping can take place in hybrid scenarios — a mix of the standard flow regimes currently known from theoretical and experimental models. These standard regimes include high-confinement mode (H-mode) and low-confinement mode (L-mode). In L-mode, an electrically-balanced scenario — meaning it has a perfect ratio of positive to negative charged-particles — formed at lower temperatures, turbulence allows the plasma to leak away some of its energy. L-mode is unstable as high-temperature plasma at the core is thrown out to the surface, destabilizing the reaction. If this mode can be surpassed and the reaction enters H-mode, the overall temperature of the plasma body is increased and the reaction stabilizes. H-mode is an energy-imbalanced mode, but the plasma is kept stable and confined by electrical fields it itself generates (T. Kobayashi et al., Nature, 2016). In a hybrid scenario, however, the flow is kept orderly only at the plasma body’s core. This generates an effect similar to that encountered inside the Earth, the team reports, where the solid iron core acts as a ‘mixer’, generating a magnetic field. The interactions between this field, the one applied by the generator, and the two types of plasma flow stabilize the reaction. Even better, this magnetic flux pumping mechanism is self-regulating, the simulations show. If the mixer becomes too strong, the plasma’s current drops just below the point where it would go haywire. And, even better #2, the authors suggest that ITER — widely held to be the most ambitious nuclear fusion project, currently under construction in Provence, France — may be suited to experiment with developing magnetic flux pumping by using the same hardware it employs to heat up the plasma. The paper “Magnetic flux pumping in 3D nonlinear magnetohydrodynamic simulations” has been published in the journal Physics of Plasmas.